The PC-based control system for 3-roller bending machines was developed by PBT, and in 1995 it was the first to offer the capability of controlling bending tasks using software. The Tablet350 was derived from the uncompromising PC400 control system, and offers its main functions in an elegant format: bending programs can be created, managed and controlled using the tablet, without the need for programming skills. 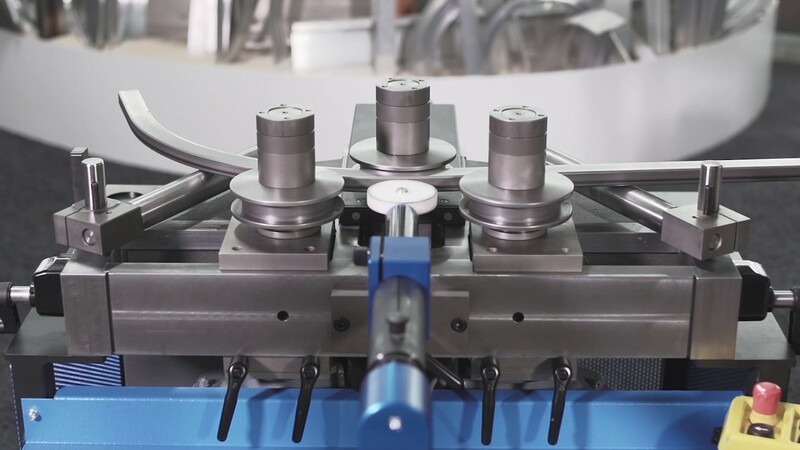 Illustrated control elements facilitate intuitive operation during everyday work, while the graphic display of the programmed workpiece with bending radii and bending lengths allows visual inspection of the programmed data. The communication with the bending machine takes place via WiFi. The tablet can be mounted on the machine using the supporting arm supplied, and can be adjusted for optimal operation. If greater freedom of movement is required, the wireless data transmission makes it possible to move around freely in the room with the Tablet350.